I’d like to start this press release with a spot of controversy! I have to say, the new Nikon D300s is a very nice looking camera, with its “new” auto focus whilst shooting HD (720p) video, a faster 7 frame-per-second continuous shooting speed and a 51 point autofocus system all pushing back to the 12.3Megapixel CMOS sensor. Feature packed this camera is, and, I guess we will see given time if it is that match for the Canon 5D Mk2 (My current baby) This Nikon D300s is targetting serious amateurs and professionals that want to take a bit of video from time to time, a wedding photographer perhaps, or… well, anyone! I remember when I first heard about the HD video on the “new breed” digital SLR camera’s and thought to myself “I’ll never use that” well, I have and I have to say it is stunning… I’m sure the quality from the Nikon will be up to par. The text below here is the press release from Nikon USA, It is jam packed full of technical info and numbers for you to drool over! As I said, Nikon, If you’d like to get in touch and swap out my Canon gear for a pair of your new shooters – you know how to find me! The Nikon D300s camera body will be available at Nikon Authorized dealers beginning in late August 2009 at an estimated selling price of $1799.95. ** For more information, please visit www.nikonusa.com. In our studio we use Nikon kit exclusively! Always have done. We use D300's as a backup cameras and although they don't see that much use (we have D3's and a D3X as our primary cameras), I can't speak highly enough of their performance when called upon. The D300S can only be an improvement on what is already an extremely capable camera! Can't wait for our lease agreement to be renewed next year when we should get D3S's and D300S's as replacements! Nikon D300 is best Camera. I have own. I think D300 can give me nice picture. I just bought my D300s sometime in July and I absolutely love it. Occasionally I have second thoughts on the other camera I was about to buy, the Canon 7D. For me, I thought the D300s gave me much better pictures than the D70s and the D80 i've used in the past. I was just wondering if I made the right decision of going with the D300s over the 7D. Canon EOS 7D vs Nikon D300s! Anyone? I currently own a D90 and it is a great camera! The new D300s has the D90's chip in it which shows the image quality of the D90. It is great. The upside of the new D300s is the 51-point autofocus which is better than the 11-point on the D90. Now you may never need all 51-points, but maybe you do. The D300s also has video with autofocusing which the D90 does not autofocus when shooting video. I spoke to the Nikon Service Center Manager in LA and he said the D300s is AMAZING and has even better image quality than the D3 line... He said the ISO quality is better thus less noise when shooting in low light conditions. He was very high on the new D300s. I have pre-ordered my D300s and can't wait for it to get here! Will keep the D90 as a backup camera. Since the D300's came out I've been wanting to upgrade from my D200. But now with the D300s, that opens a whole new theater of operation for Nikon still photographers-video. Ya I know camcorders are getting smaller and lighters and now DSR's from other brands are offering video capabilities, but think about it, a pro-quality NIKON DSLR combined in one package, like WOW!!! Oh yes, I'm a drooling now. =) Good enough. Thanks Sime. hey Sime, I'm thinking to get a new camera. Currently I'm considering Nikon D300s but my friend told me it might be too complicated for me to use. He recommend me D90. So which should I get? one thing for sure, i don't like camera that also for capturing video. now i use nikon D300 the old one and work very well for me. Who cares about which camera you have. I have SOOO many friends who are caught up in the hype! "Nikon or Canon? Nikon has better this. Canon has better that. He said this, She said that." To be perfrectly honest, 80% of my buddies who go back and forth bickering about gear spend little time honing their creative skills. All they care about are noise levels at high ISO. Sure your pictures may have less noise, but the shot is uninteresting. It lacks a story, or a statement. Remember, pictures are supposed to be worth a thousand words. Point is. Spend LESS time worrying if you have the right gear or not and spend MORE time mastering the ART of photography. As an amateur, how does this compare to the D90? What are the differences? I have a D300 for about the last 6 months paired with Nikkor 200-400 AF lens. We shoot surf photos with this one all the time and its working out great. (would prefer an af-s lens but we got a really good deal on this one). Also, I did take its durability into serious consideration and it sounded like a very solid cam on that level.. since its on the beach everyday .. close to the equator, and extremely high humidity.. it has performed well for me in the field. I have to echo marcus' words. those cameras are in two different 'classes' if you will. FX and DX are two very different sensors... and the d300s video technically is inferior to the Cannon's MII. "I think people want to compare dSLRs with video, and it’s throwing people off because there aren’t any direct competitors that both it." I'm finding it interesting that so many people are comparing the D300s with the 5DMkII. Comparing the two is apples and oranges. 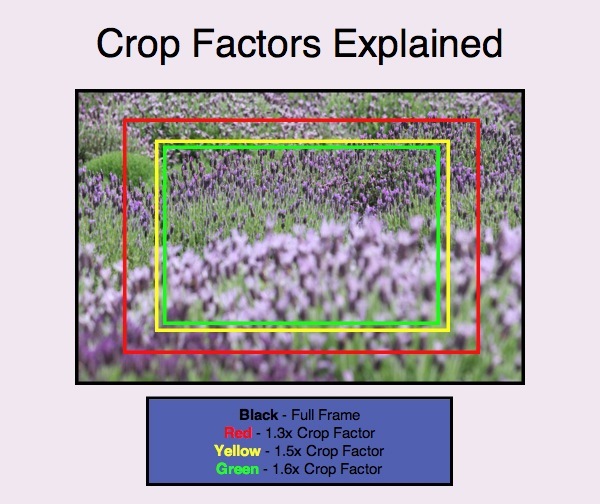 The D300s is still a crop sensor camera, so I don't think Nikon intended it to be a direct competitor to the 5DmkII. I think people want to compare dSLRs with video, and it's throwing people off because there aren't any direct competitors that both it. Sime, since you shoot so many concerts, Nikon would make a lot of sense, with it's low light focusing and high ISO image quality. As a Nikon user I'd like to believe you when you say the Nikon's video will be up to par with the Canon's. Sadly that may not be true, given what I've seen out of the 5DMk2. But if you find that it is, I'd very much like to hear it. If you're that keen to swap to Nikon from Canon, just do it. =o) If you want to sell your 5D MkII to me, I'll take it off your hands in a heartbeat. I'm just unclear as to why you'd be happy to swap a professional 21MP DSLR for one with about 12MP. (I know, the old megapixel myth and all that, but hey...) Is it down to the glass? Better autofocus? Support for two types of media card?